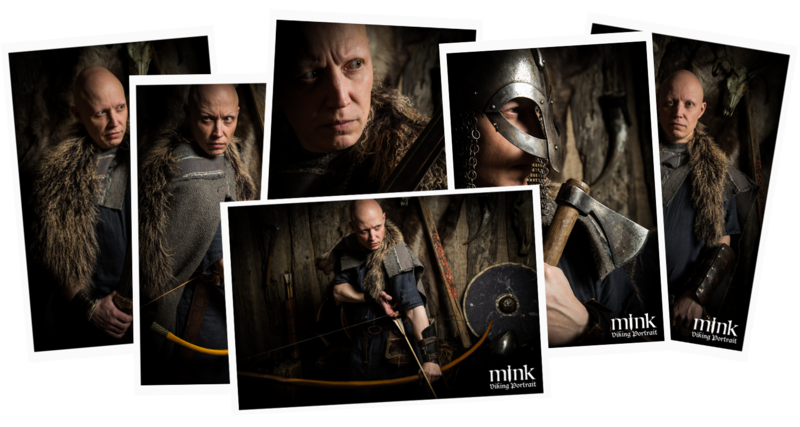 MINK Viking Portrait Studio specializes in the art of turning mere modern people into fierce Vikings. MINK Studios proprietor is Guðmann Þór Bjargmundsson who’s had a successful career in both photography and film over the years, for example he’s worked on the popular TV series Game of Thrones. 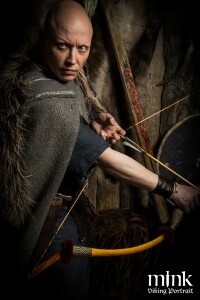 In the MINK studio you’ll ﬁnd everything you need to become a Viking; clothes, weapons and other Viking paraphernalia. The main goal is to create realistic, powerful Vikings. To top it off they have cool driftwood for a background. What a cool memory to take home from Iceland. Once in front of the camera you can see how people literally become fiercer, their inner Viking revealed. You could say that there is a Viking within all of us and people who have been transformed in this way say the experience is unforgettable. Mink Viking Portrait Studio is stationed at Laugavegur 11 in the center of Reykjavík. The entrance to the studio is from a side street of Laugavegur called Smiðjustígur. You will see the MINK sign hanging above the entrance. The photo session takes about 45 minutes for 1 person, including dressing in costumes, photo shoot and picking out the right photos from the selection of the shoot. For group photoshoots, it takes about 1 to 2 hours. But you’ll have fun the hole time, seeing your friend or family members scream in to the camera wile being Photographed.